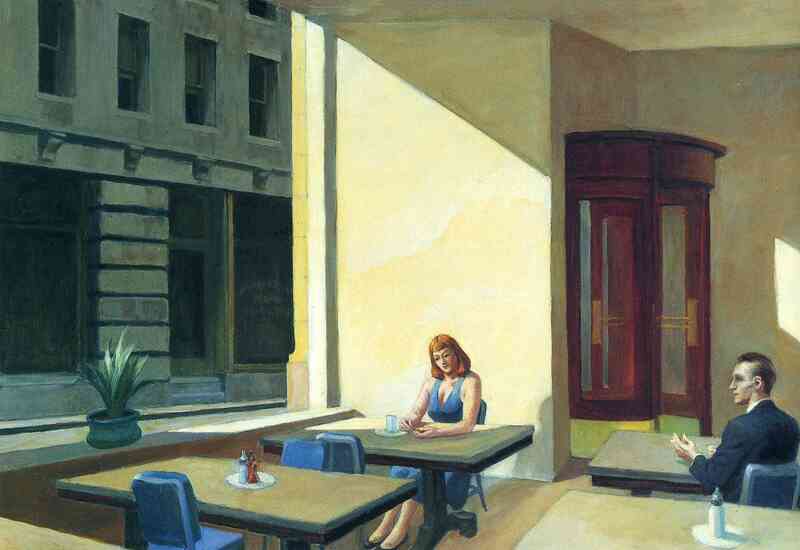 Right after manicures at Paintbox, I’m going to beg my friend to go be voyeurs of this Hopper at MoMA. Night Windows (1928) presents the viewer with my goddamn worst nightmare: completely clueless about everyone being able to see into my bay window while I’m in my alluring, yet understated, pajamas. I have every intention of rocking brunch this weekend, but instead of this cute flapper fashion and TEA, for crying out loud, I’m gonna go with a blow out and just pitchers of mimosas. What I’d give for this woman to be equipped with a Tinder account, swiping right on this staring loser vampire.